Musings 'n scribblings of a philanthrope .. : Innovation workshop in Alliance University . 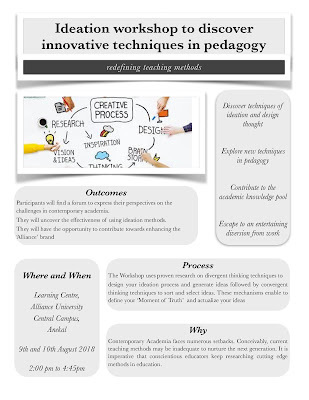 Innovation workshop in Alliance University . The Operations stream of Alliance School of Business is proud to bring yet another interesting activity in the AU campus on 9th and 10th of August '18. Venue : LHW 203, Learning Centre, Central campus, Anekal, Bangalore. 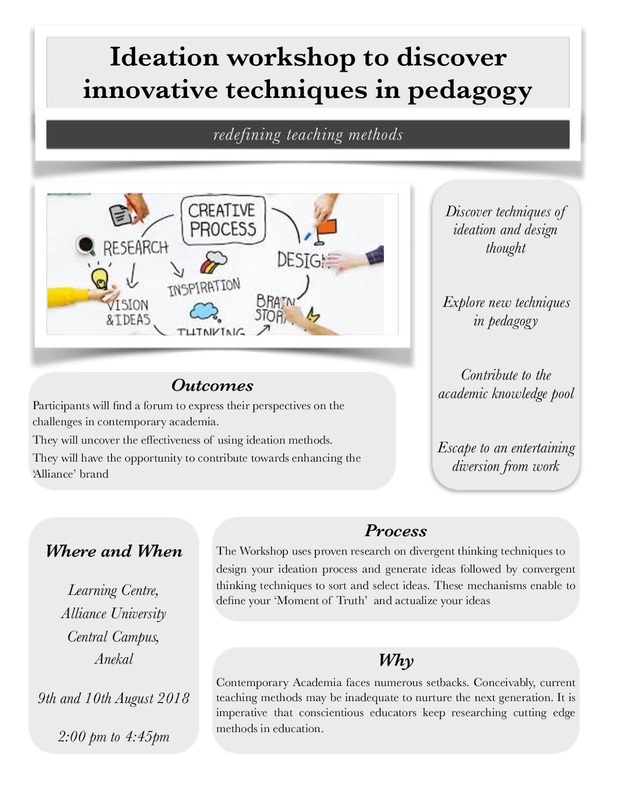 2. redefine some of the existing and conventional teaching methods. After attending the workshop the faculty member will be able to be more creative in his teaching styles and be more objective oriented in his approach. Why is innovation important in organisations ? The six day Arab Israel war ..